It is particular satisfying to put a new load of firewood in the woodshed. A feeling that our forefathers must have relished the pleasant feeling of being able to last through winter. Timber has to be seasoned for at least a year after felling, and the quicker it is split, the quicker it dries. For the most effective and environmentally-friendly combustion, the Danish Environmental Protection Agency recommends that the moisture content of the fuel should not exceed 18 percent. 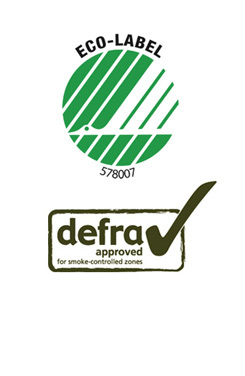 With the aid of this electronic meter, you can be sure that you are not putting wet timber in the stove. 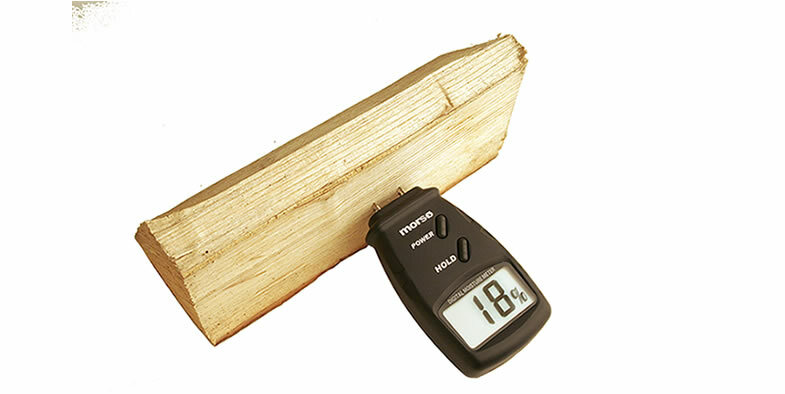 Split the timber, measure the moisture content by sticking the prongs of the meter.